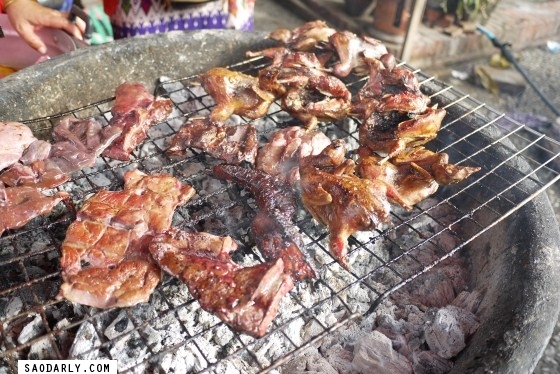 Grilled Bird or Ping Nok and Grilled Liver or Ping Tub at the Morning Market in Luang Prabang. 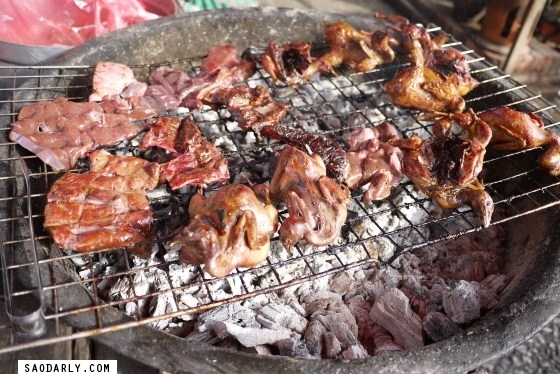 I wanted to buy a few pieces of the grilled liver to eat with Jeow Bong for lunch but I bought too much food already. 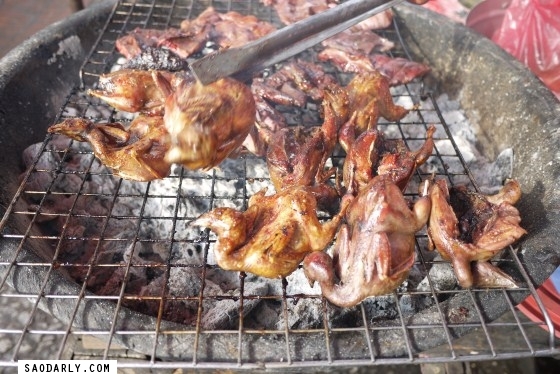 I’m not sure what kind of bird was on the grill or what it tastes like. Maybe it would be good with Jeow Bong or even with Lao green papaya salad. 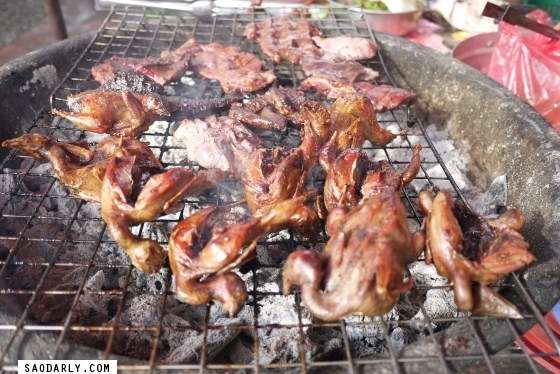 I also wondered how good the grilled bird or liver would be with something sour like Som Phak Kard (pickled mustard green) or Som Phak Kalampi (pickled cabbage) and with warm sticky rice of course.